The Match King is in stores now and well worth picking up. You can read the rest of the piece at Short Ends & Leader. 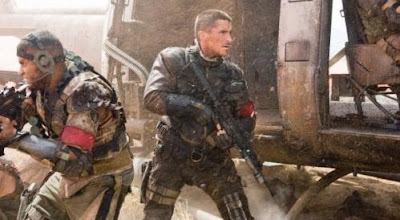 Terminator Salvation opens everywhere on Friday, apocalypse be damned. You can read the full review at Short Ends and Leader. The Brothers Bloom opens in theaters today and is worth seeking out, even if just barely. The full review is at filmcritic.com. Star Trek opened everywhere today. See it soon, maybe twice. You can read the shortish review at Short Ends and Leader. The Tribeca Film Festival still seems unformed. And for the most part, that’s good. Founded in 2002, it’s not old enough yet to take on the identifying quirks of its bigger and older competitors, like Cannes, Berlin, Toronto or even Sundance. The Festival has been refining its lineup, paring it down from year to year until it stands at a manageable 85 features from 36 countries, almost half what it was a couple of years back. At that size, this year’s Tribeca—which ran 22 April to 3 May—increased the quality quotient, cutting the number of embarrassing failures that once studded the schedule like a minefield. The venues now are also pared down: if most are still not in Tribeca per se, they’re at least clustered closer to downtown than other installments, which had ticketholders running all the way to the Upper West Side. Some things never change, of course, such as the beside-the-point opening and closing night films—Woody Allen’s Whatever Works and Donald Petrie’s My Life in Ruins—and a predilection for sports films (which cynics could be tempted to regard as a naked ploy for ESPN sponsorship) and issue documentaries. The result is a solidly enjoyable and well-run experience, offering a few near misses and at least a couple outright gems. 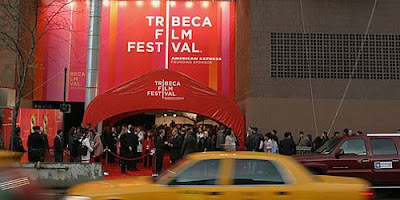 My full coverage of the 2009 Tribeca Film Festival is available at PopMatters. Carnival in the Night is now available at finer video stores everywhere. You can read the full review at PopMatters.